This juice is full of vitamin C and the enzymes in the pineapple are great at dissolving mucus that can accumulate in the system. Chiles not only give a nice kick, they also help speed up metabolism. There’s no oranges in it, it’s just orange in color. Juice the carrot, pineapple and lime then throw it into a blender with the chilies and a couple of ice cubes. This entry was posted in Ands Recipe Corner and tagged Pineapple Orange Chili on November 4, 2014 by sarang vyas. 1. Place watermelon in a blender or food processor. 2. Cover and blend on medium speed until smooth. 3. Place lemonade concentrate and water in a large pitcher or punch bowl. 6. Garnish with additional watermelon if desired. This entry was posted in Ands Recipe Corner and tagged ANDS Drinks Recipes Ideas on November 3, 2014 by sarang vyas. Wash all vegetables thoroughly before using. Place vegetables and broth in medium saucepan. Bring to a boil. Reduce heat to medium-low; cover and cook 10 minutes. Remove from heat. Purée vegetables and broth in a food processor. Add ginger juice, soy milk, and sea salt. Process until smooth, approx. 30 seconds. Adjust seasoning to taste. Garnish with fennel and serve. Serves 4-6. This entry was posted in Ands Recipe Corner and tagged Fennel & Ginger Soup, Beet on November 1, 2014 by sarang vyas. This entry was posted in Ands Recipe Corner and tagged Vegetable Bean Chili on October 30, 2014 by sarang vyas. This entry was posted in Ands Recipe Corner and tagged Homemade Salsa on October 28, 2014 by sarang vyas. Toothpaste—we use it every day, but how much do we really know about it? 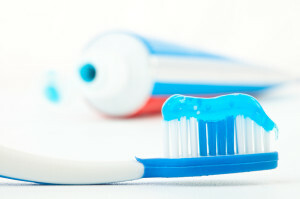 We put it on our toothbrush each morning because it’s supposed to clean our teeth, freshen out breath, and protect our teeth from things like gingivitis. But perhaps we’ve been putting it on our toothbrush too long without thinking about what we’re putting in our mouth. How can something we’ve used almost our entire lives have escaped our attention? Luckily, dentists have started to speak out about the potentially harmful ingredients in toothpaste. Before you pick up that tube again, learn some of the ugly truths about toothpaste. This entry was posted in Health and tagged Toothpaste on October 22, 2014 by sarang vyas. Preheat oven to 450°. Place vegetables into large bowl and toss with olive oil, salt, pepper, thyme, lemon zest, and apple cider. Spread vegetables in single layer on baking sheet. Roast until tender, approx. 30 minutes, turning occasionally. Transfer vegetables to large serving dish. Sprinkle with parsley and serve. Tip: You can substitute one of the above with any of your favorite root vegetables, such parsnips or leeks. This entry was posted in Ands Recipe Corner and tagged Roasted Vegetables on October 22, 2014 by sarang vyas. Heat oil in Dutch oven over medium heat. Add onion, tomatoes, celery, carrots, garlic, oregano and pepper. Cook, stirring often, until the vegetables begin to soften and the onion is translucent (about 10 minutes). Add broth and bring to a simmer. Continue to cook, stirring often, until the vegetables are tender. Stir in beans and spinach; cook until spinach is tender, approx. 5 minutes. Serve with a sprinkle of parmesan cheese. This entry was posted in Ands Recipe Corner and tagged soup on October 21, 2014 by sarang vyas. This entry was posted in Ands Recipe Corner and tagged Apple Spice Pork Tenderloin on October 20, 2014 by sarang vyas. Sauté mushrooms, onion and garlic in a small pan. In a medium bowl, combine mushroom mixture with turkey, bread crumbs and remaining ingredients. Coat crock pot with cooking spray. Shape ground turkey mixture into loaf and place in crock pot. Cook on low until an instant-read thermometer inserted in the center of the loaf registers at least 180° F. (Cooking time: approximately 7 to 9 hours). This entry was posted in Ands Recipe Corner and tagged Crock Pot Turkey Meatloaf on October 18, 2014 by sarang vyas.